You probably know already that losing or gaining weight is all about calories – you need to be in a caloric deficit in order to lose weight and you need to be in a caloric surplus in order to gain weight. Now, for those of you which are really new at this – caloric deficit means that you are eating fewer calories than your body needs in order to maintain its weight. While a caloric surplus is an exact opposite – you are eating more calories than your body consumes. 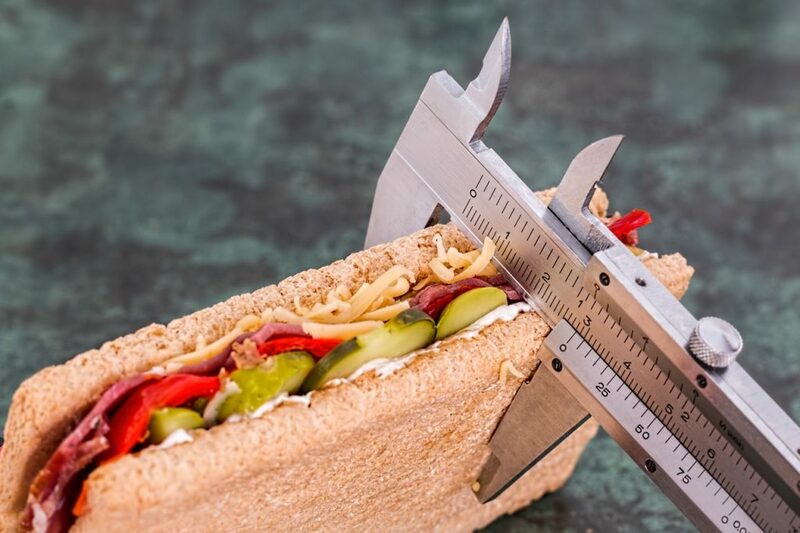 So, regardless of what your goal is – to lose or to gain weight – your starting point will be to find out how many calories you need in order to maintain your current weight. This is also called the maintenance level. Once you know this value it is very simple to put yourself in a deficit or in a surplus. From there you can start dropping or adding body weight. They are based on different mathematical models to calculate the calories and this is why they are not that accurate. And not only that they are not accurate but you will even get different results on different websites. Each of us has its own metabolism and genetic background, therefore there cannot be ‘one formula fits all’. Anyways, these calculators are a good starting point to get an estimation. I used them to get started and they worked great for me. Remember, this will be just an estimation, not the accurate number we are after. My recommendation is to use a couple of them and make an average of the results you get. That will be your estimated maintenance level. Make sure to put in the correct weight, height, age and activity level in each of the different calculators you are using. So, the average in my case is 2,879 calories. I am 6 feet and 198 pounds, for the record and I train 5 days a week. Now, I have been in a caloric deficit for many months, if not a year, so I have been tracking my caloric intake closely for quite some time now. This is how I know for a fact that my real maintenance level is around 2,200 calories – including my weight training and cardio. As you can see there is quite a difference (almost 500 calories) between the real, accurate value and the estimation I got using the online calculators. How do I know my real caloric maintenance level? I know this by counting the calories in the foods I eat each day and by monitoring my weight weekly. If my weight goes down, I’m eating less than my maintenance level, if it goes up I’m eating more. Really simple stuff guys and gals. The tricky and hard part is to read correctly the calories in the foods you eat. It’s very easy to mess this up, especially if you are eating out or you are just not paying attention. At first, I recommend sticking with simple foods that have their nutritional information on the label. Avoid going to the restaurants too often or eating cooked foods that have a lot of different ingredients in them. It is very hard to estimate the calories on those and most of the times people underestimate the calories in foods. Also, make sure to have a kitchen scale and start measuring your food. Try to be as exact as possible and write down everything you eat throughout the day. Do this for a few weeks, check your weight and then you can estimate your maintenance caloric level quite easily. Please note that I am not going to talk about macros in this article and how that may affect your body composition, we are just sticking with the calories for now. If you are interested in more advanced information to be sure to revisit the blog or drop me an email. Just build your diet so that at the end of the day you take in roughly the average you got using the online calculator plus/minus 300-500 calories. Monitor your weight and try to figure out what your real caloric maintenance level is. And that is your starting point. Now that you know your real maintenance level you can make your diet so that you eat more or less that level. The main ‘rule’ (there are no rules) when trying to bulk up or get lean is not to go too crazy over or below the maintenance level. Most people recommend a 20-25% threshold. So, back to my example, if I maintain at 2,200 calories, I should not drop/increase my intake by more than about 550 calories. There you have it guys and gals, really simple stuff – calories in versus calories out. Make sure to subscribe if you haven’t already and share this article.